I’m built for endurance, not for speed. Looking at my racing CV you will see that 10km distances don’t feature on my race calendar, but when I heard about a wee local 10km race around the Lochore Meadows Country Park I thought this might be a good option for me to put my ‘speed’ to the test. 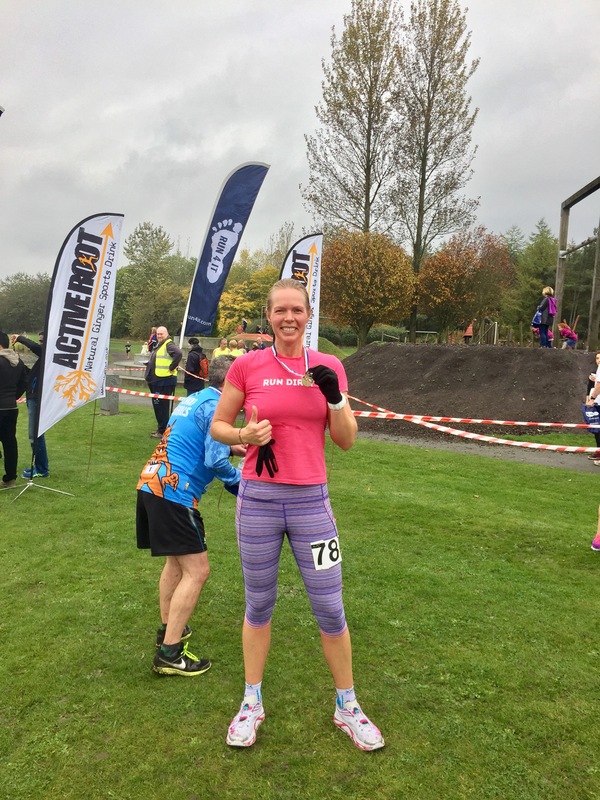 The route is a fairly flat and fast 2 lap route, mostly on hard packed trails and paths around the loch, I wore Hoka Huaka road shoes but you could wear either trail or road shoes. The race had a nice local feel to it, with plenty of parking and no queues for either the parking of the registration process. The race is only £12 to enter so pretty good value when you compare it to some other ‘big’ name events. This includes the obligatory bling at the finish and a Bounce Ball and a bottle of water in the goody bag. 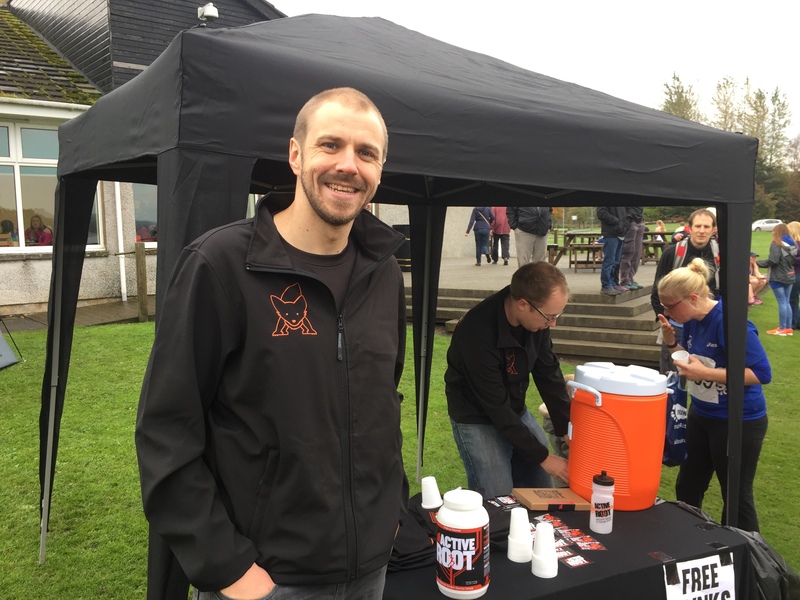 I also had the opportunity to meet the crew from a local company Active Root who have developed a fantastic energy drink product with ginger. Check them out if you haven’t heard of them already. I’m planning on trying out their drink on my next 50km race. We were blessed with perfect conditions for running, chilly start but once you got going it was great, no wind and although there was the odd muddy patch it was a smooth run all the way around. The winner finished in 36:43 and first female 42:24. 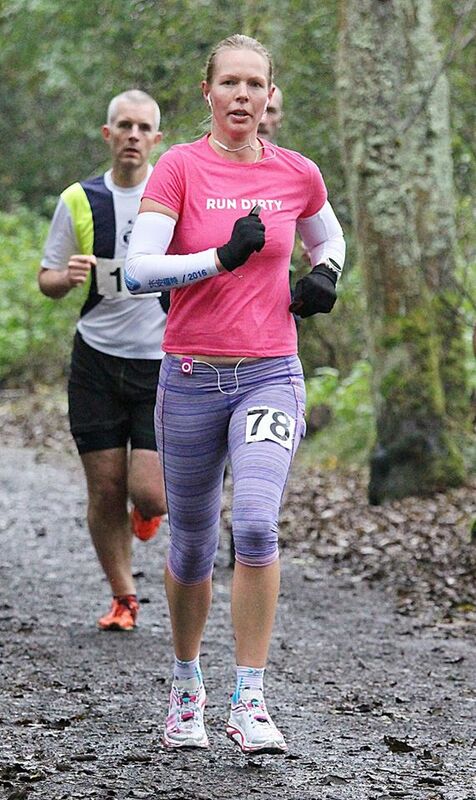 I finished in 46:16 as 7th female and 43 overall out of 136 runners, with the final runner in at 1:15:14. If you’re looking for a quick start to the winter training season next year then come along to Lochore and join them for the 3rd year in 2017.